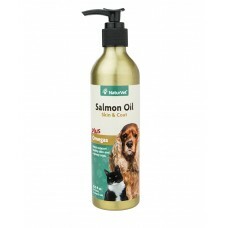 NaturVet's best source of natural Omega-3 and 6 fatty acids. More potency without the smell. Our specialized filtration process helps remove the fishy smell, but not the yummy taste that pets love. • Promotes a healthy, shiny coat. • Adds moisture to help maintain healthy skin. 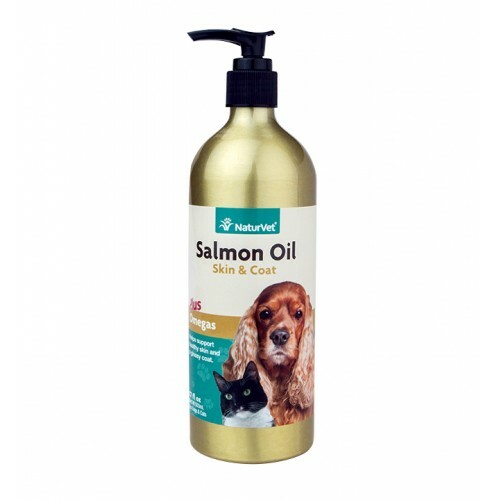 • May be used to enhance your pet's appetite by adding an appealing salmon flavor. Salmon Oil and Natural Mixed Tocopherols (Preservative). *For pets with sensitive digestive systems use half the daily amount for the first week.